From DOTA2, to Counter-Strike to PUBG and beyond, what is the best energy drink to get the most out of your gaming sessions? As we all know, gaming for many hours can take a toll on your body and your mind. Getting a slight edge over your competitors can make a big difference, especially over a larger sample size. I don't know about you, but I'm in this for the long haul, and I'm in it to win. From PC setups to team synergy, I always want to make sure that I have the best chance of winning. Sometimes we need to find a little extra energy to help with our focus and stamina. It all comes down to performance, and energy drinks might just be able to help you be your best. There are lots of potential benefits of drinking energy drinks, and a few potential negative side effects too. So, it's important to drink them in moderation and when tactically required for best results. In this article, I'll talk about the importance of energy drinks for gamers and list a bunch of great options to fuel your gaming sessions. Ultimately, the answer to the question of what is the best energy drink for gaming is the one that works best for you. Only you can know the answer to that question. There are tons of great energy drinks available to fuel your gaming. When is the best time to drink energy drinks? It's best to drink an energy drink 30–60 mins before your gaming sessions if you want to feel the maximum effects for best results. 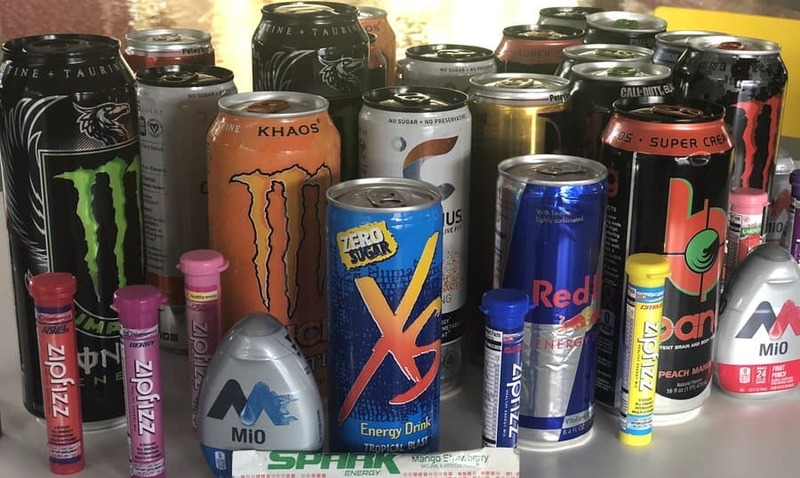 Generally speaking, depending on your physiological makeup, the effects can last for about 5-6 hours, but it depends on what energy drink you have and how much sugar and other ingredients that they contain. Although there may be effects for up to 6 hours, usually it's only noticeable for around 3-4. In some cases (usually when the energy drink contains sugar) you may get an energy boost for an hour or two, but that will often be followed by a sugar crash that will have you feeling less energized than before you started. Energy drinks and gaming - What matters? There's a couple of things to look at in an energy drink to determine the best option for your gaming needs. A key criteria every gamer should look at is the caffeine levels in an energy drink. In my opinion, anywhere between 50-100mg of caffeine per serve is perfect for gaming. More than 100mg of caffeine is too much because I find that I'm unable to concentrate properly. Sure, I am wide awake, but sometimes a lesser amount of caffeine, combined with some other energy-boosting ingredients can be more appropriate for tasks involving your brain. I'm not looking for one of the strongest energy drinks in the world before a gaming session - I want something that is going to give me an edge over my competition. The second most important criteria every gamer should consider in an energy drink is its sugar content. Energy drinks with lower sugar levels are generally better for long hours of gaming than those with more sugar. In fact, sugary energy drinks might be the downfall of your gaming session. Sure, you might be on-point for an hour or two, but what if you plan to be gaming for several hours? If you need to continue gaming once you hit the sugar crash you're going to suffer sub-optimal results. The third important criteria is the taste of the energy drink itself. Just a friendly reminder, when it comes to the topic of taste in this article, what I consider to be tasty might not be tasty to you, and vice-versa. Taste is very subjective and it's impossible to keep everyone happy. Gfuel is the self-proclaimed "official energy drink of E-sports". With 150mg of caffeine content, Gfuel certainly delivers a powerful energy boost. In fact, it may be too much for some people to be able to focus and perform at the best. Price wise it's good, priced at around $36 for 40 servings. At about $1 for a drink, Gfuel is very cheap compared to most other energy drinks out there. G-fuel energy drinks come in a variety of flavors such as Fruit Punch, Green Apple, Peach Ice Tea, Black on blackberry and their best-selling flavor - the FaZeberry tub. They taste pretty good, smooth and sweet and easy to drink. The best part of it? It's sugar-free which means that you won't have to bear the inevitable consequences of sugar crash that you'll mostly get from drinking many energy drinks due to their high sugar content. Despite the higher than optimal caffeine content, Gfuel is a good option to fuel your gaming. Sneak Energy Drink is a supplement style energy drink that claims to boost your energy, enhance your reaction times and focus so that you can stay at an optimal level while you game. Like Gfuel, a single serving contains 150mg of caffeine which is sure to keep you alert and awake throughout your gaming sessions. Price wise, it costs about $48 per tub of 40 servings which amounts to $1.20 per serve. Taste wise it’s pretty good. Sneak Energy Drink comes in a few flavors such as Blue Raspberry Birthday Edition, Cherry Bomb, Stealth, Tropikilla, and Strawberry Watermelon. Being sugar-free is a plus and means that you won't have to worry about getting a sugar crash halfway through your gaming session. Overall, this is definitely a nice change from the traditional energy drinks that people usually consume for their energy needs and might be worth trying. But again, it has too much caffeine for my liking. As the name suggests, Gamer Up powder is a gamers drink focused on providing improved mental focus and performance. It's one of the few products to include Lion’s Mane which is a type of mushroom extract that is connected with focus. However, I'm not sure if the amount included in the ingredients is sufficient to meet the minimum recommended dose to get the advertised benefits from it. A single serving contains 125mg of caffeine, and many people report a somewhat jittery energy boost to get through your gaming session. But I like the fact that it contains less caffeine than the other two mentioned above. It costs around $58 for a tub of 30 servings, which is about $2 per serving, making it more expensive than many other options. At the moment, Gamer Up only comes in 2 flavors - Bubblegum and Fruit Punch. Taste-wise, it wasn't too bad, but definitely far from good in my opinion. It's also sugar-free, meaning that you won't get a sugar crash from consuming it, ensuring that you'll be able to play through your gaming session for long periods without getting drowsy. Overall, Gamer Up is a good option for your gaming needs, however, due to the price, it's definitely not my first pick for extra energy. Previously known as AMP energy drink, this is no doubt one of the most popular go-to energy drinks for gamers. One serving of Game Fuel contains 91mg of caffeine which is considered enough to give you the boost you need without overdoing it. At about $2 per can, it definitely is not the most affordable energy drink for gaming out there, but it's also not the most expensive either. I'm also wary that it contains 30g of sugar per serving, which is bad for your health, but more importantly for gaming - may cause nasty sugar crashes a couple of hours after drinking it. At the moment Mountain Dew Amp comes in a wide variety of flavors such as charged original dew, charged cherry burst, charged berry blast, and charged tropical strike. The best-tasting flavor would be the charged berry blast in my opinion - it tastes something like blue raspberry. Overall, Game Fuel tastes great and gives you a good energy boost. However, the price tag and added sugar keep me from recommending it too highly for long gaming sessions. Who doesn't know what Red Bull is? The drink that "gives you wings". Red Bull is the most popular energy drink in the world as measured by market share. 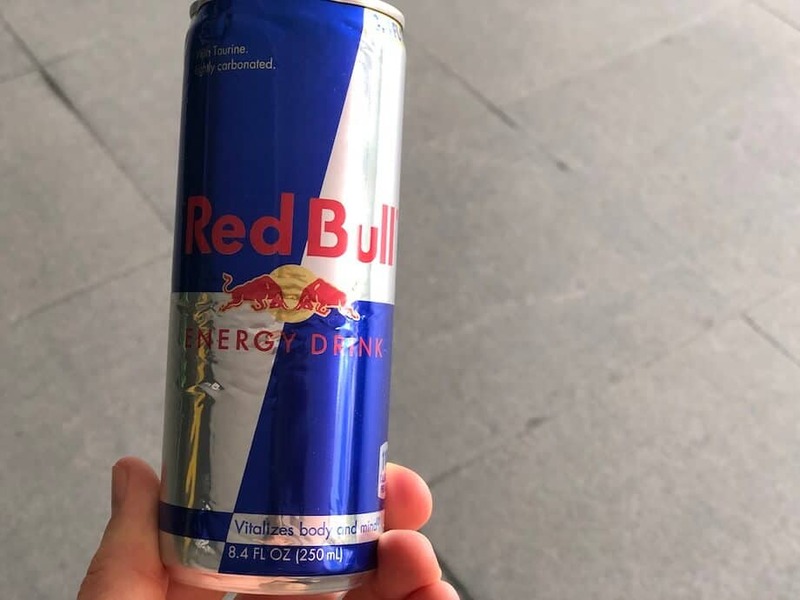 Millions of gamers in every corner of the globe turn to a trusty can of Red Bull to fuel their gaming sessions every day. With 80mg of caffeine in a can, Red Bull gives you a nice energy boost, without overdoing it on the caffeine. A can of Red Bull costs about $2 which is not as affordable as some of the energy drinks on this list (REIZE and G-Fuel being the cheapest). It also contains 27g of sugar per can, which depending on your physiological makeup, can cause a sugar crash a few hours after drinking it (hopefully it's not right in the middle of a gaming session). The most famous Red Bull flavor is original. Red Bull is easy to find almost anywhere on the planet and tastes a bit like pop soda. At the moment Red Bull comes in a number of flavors such as Red Bull Cola, Original, Yellow edition, Orange edition, Blue edition, Green edition, and Grapefruit twist summer edition. Overall, the taste is pretty distinct and it works for me. The only slight negatives keeping it from a perfect score in my book are the price tag and the added sugar. * Fun fact - did you know that Red Bull was previously banned in several European countries? The dark horse of energy drinks, famous for their tagline "Party like a rockstar". A single can of this party goer energy drink contains 160mg of caffeine which is very high considering that the recommended daily maximum intake for caffeine is 400mg (2 cans of this and you're near to it). However, it sure does give you a strong energy boost to get through your gaming marathons. Rockstar Energy Drink also contains 31g of sugar which is somewhat high and can cause a sugar crash a few hours after consuming it, so it may not be the best option for a long gaming session. Price wise, at around $2 per can it also isn't the most affordable energy drink out there for gamers. It generally tastes smooth and sweet but not fruity and doesn't have any bitter or bad aftertaste. At the moment Rockstar Energy Drink has a number of flavors such as Rockstar original, Recovery Grape, Sparkling Peach, Supersours Sour Apple, Rockstar Energy Cola, and Rockstar Juiced. Overall, it tastes pretty good and its definitely a great energy drink for a short gaming session. However, the price and potential for a sugar crash keep me from recommending it for longer gaming sessions. Monster Energy, the brand known for its epically cool logo - the vibrant green M that looks like a claw mark. It is exceptionally popular amongst youngsters who are looking to get an energy boost to get on with their activities - and gaming sessions. A single can contains 160mg of caffeine which is pretty high and gives you more than enough energy. I've already mentioned above that I prefer less caffeine for better mental performance. At roughly $3 per can, it's not so affordable for most gamers as a daily go-to energy fix. It also contains 54 grams of sugar, which is very high and is sure to give you a sugar crash afterward. If you're thinking of consuming a second can when you're in the midst of a sugar crash, that's probably not the solution to the problem. Drinking two cans will put you close to the daily maximum dosage for caffeine and can be potentially harmful to your health due to consuming well over 100 grams of sugar. Taste-wise, it's pretty good, but there are a lot of different opinions online. 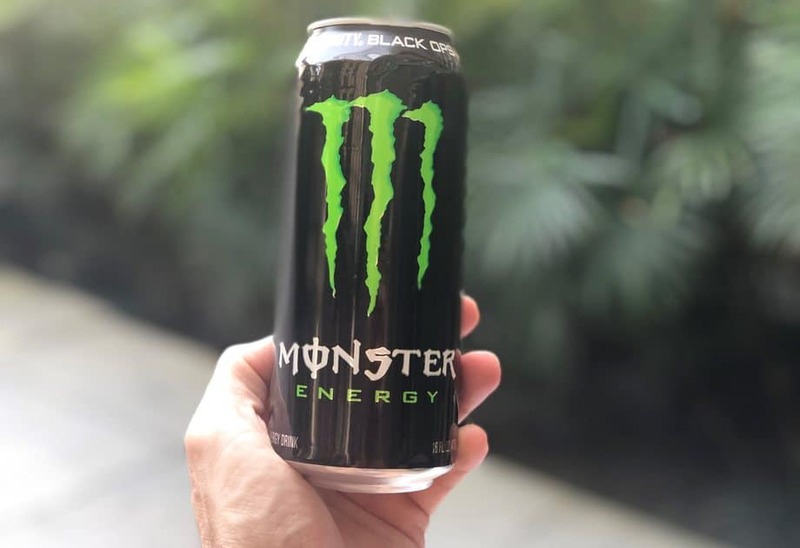 At the moment Monster energy comes with a variety of flavors such as Monster original, Monster Assault, Monster Rehab, Monster Khaos, Monster Import, Monster Ultra, Monster Juice, and Monster Punch. To see an in-depth comparison between Red Bull and Monster, check this out. Overall, it definitely does provide you a huge energy boost but due to its high sugar and caffeine content, but it's not my preferred energy drink for longer gaming sessions. The price, massive sugar content and high caffeine content mean that Monster isn't my daily gaming partner. In fact, I created an entire article about whether or not Monster energy drink is bad for you which you might find interesting if you're considering making Monster your gaming partner. The new kid on the block for gaming energy drinks, REIZE has attracted plenty of interest (and high praise) from early adopters. REIZE is a powder energy drink (Similar to Gfuel) that ships right to your door for around $1 per drink. Talk about convenience. A serving of REIZE energy drink contains 50mg of caffeine. Although REIZE contains less caffeine than others on this list, I think the combination of B vitamins, ginseng and taurine together with the caffeine combine to give you a great energy boost to get through your daily gaming sessions. At about $1 per drink, REIZE is very affordable compared to most other energy drinks. It's also sugar-free so you won't have to worry about facing the backlash of a nasty sugar crash after drinking it. REIZE tastes unique, but some people have described it as a bit like a nice, fruity, fizzy cola. At the moment REIZE only comes in one flavor, which is the original flavor. If online reviews are anything to go by, it seems that most people agree that it tastes great. Overall, REIZE definitely provides a great energy boost for your gaming needs. The combination of vitamins, taurine, ginseng and caffeine give me the "optimal boost", allowing me to focus for hours on end without being too wired, and without a sugar crash. REIZE also gives you the option to get monthly deliveries (set and forget), or to grab some when you need it which is really neat. REIZE is definitely a whole lot cheaper than most other top energy drinks on the market, has an ideal amount of caffeine and is sugar-free. For these reasons, REIZE is the best energy drink for gaming in my opinion. Give REIZE a try today and you might just find that you prefer REIZE to power your gaming sessions.